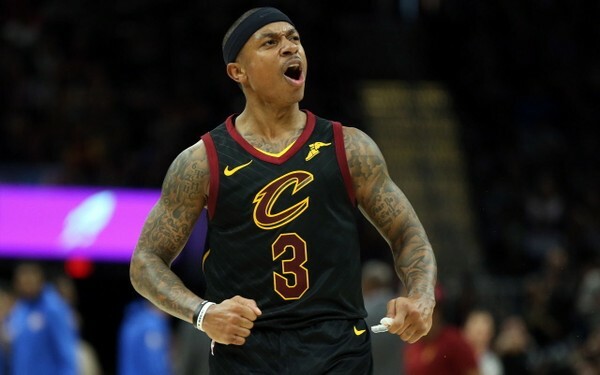 It's pretty safe to say Isaiah Thomas isn't a fan of the city of Cleveland, or at least the Cleveland Cavaliers. And given how they treated him both as a fanbase and as an organization, it's more than understandable that the Little Guy might refer to the homebase of the Cavs as a "shithole" on a recent video he released. Abused by the team's fans and never really given a shot by the organization, Thomas' tenure in that city was among his worst experiences with any organization, and he's been with a few. Of course, the same fans who were chewing him out are now losing their minds over IT's honesty, and while I don't blame Isaiah for feeling the way he does, I understand it's a general breach of decorum among players to keep such feelings close to the hip. I don't think IT will be suiting up in wine and gold again, though, so it's really just some extra fodder for the Cavs to use to motivate themselves and the crowd when the Denver Nuggets (his new squad) visit that most snooze-worthy of cities. Apologies to any Cleveland folks out there reading this - there's plenty of other boring cities in the league too; it's just that none of them are run by Dan Gilbert. Watch the video above to hear the notorious post by the once (and possibly future?) King of the Fourth. While his openness may have wrankled some in Ohio, here in Boston, at least a few of us appreciate the candor.